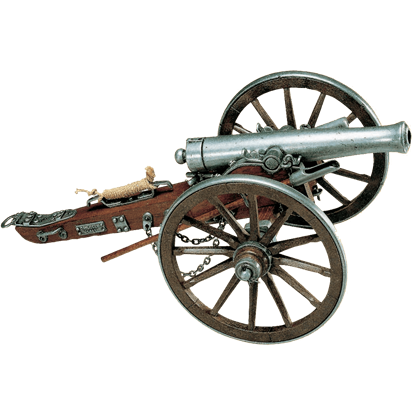 This miniature U.S. Civil War cannon is typical of the field cannons used by both sides in the conflict. At 7.25 inches long, this piece is part of a series of famous cannon miniatures from Denix made in Spain. 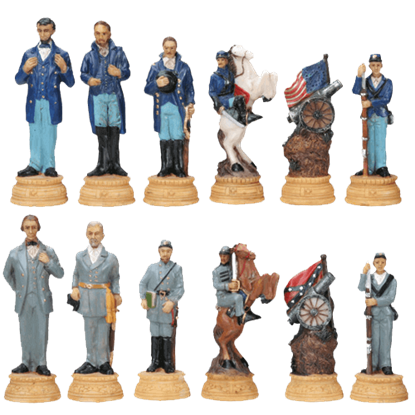 A tumultuous time in history, the Civil War included the bloodiest battle in American history and changed the fate of the United States forever. 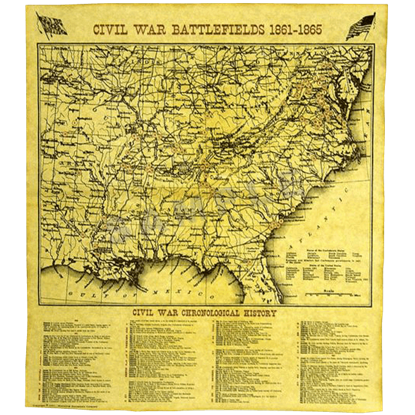 Remember the soldiers that fought for freedom with the Civil War Battlefields Map! When you face a fortified city or structure, it is time to roll about the big guns. 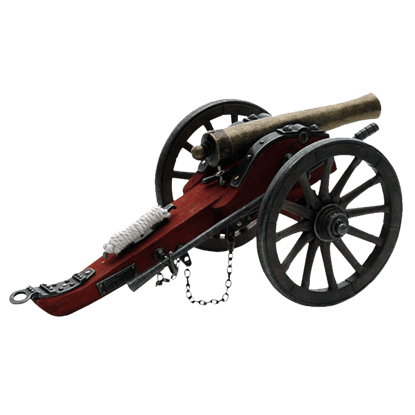 In the American Civil War, cannons were the common artillery of the day, and this Civil War Confederate Cannon Miniature Replica recreates their look. 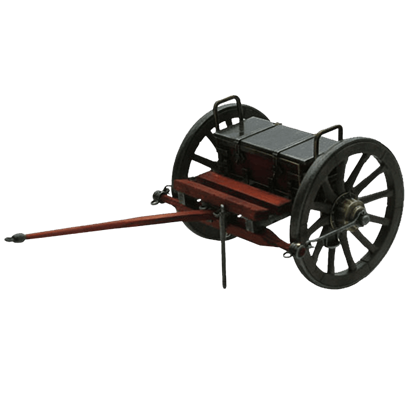 In the field, a limber would have been an addition to any cannon, serving to provide more ammo and the tools necessary to maintain the artillery. 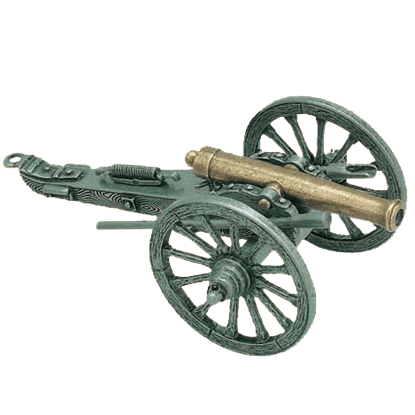 Thus, this Civil War Limber Miniature Replica is a great addition to any cannon miniature. The Civil War saber letter opener is just like the bigger versions of Civil War swords. 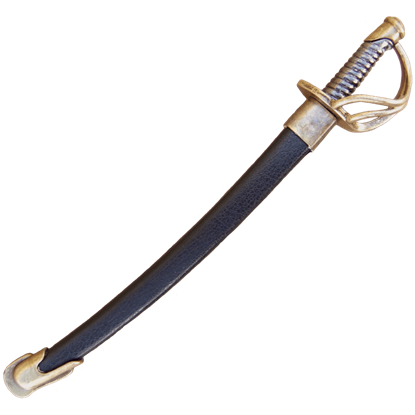 This letter opener makes a great Civil War accessory for the office or home. This Civil War saber Letter opener is made in Spain. 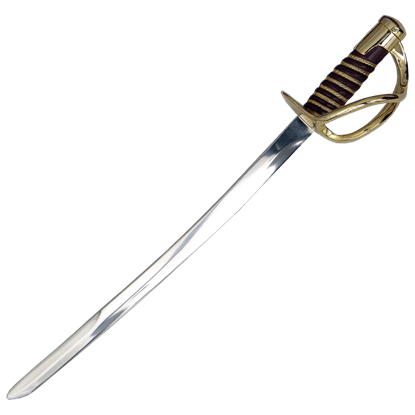 The Civil War saber letter opener with scabbard is just like the bigger version of Civil War swords. This Civil War saber opener comes with a scabbard and is made by the manufacturer Denix from cast metal. When the Southern states seceded from the Union, it meant cutting all ties with America, including its currency. 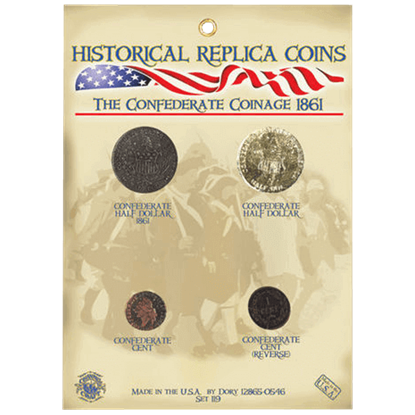 The Confederate Coinage Set consists of four replica coins from the Confederacy, including two half-dollars and two cents! 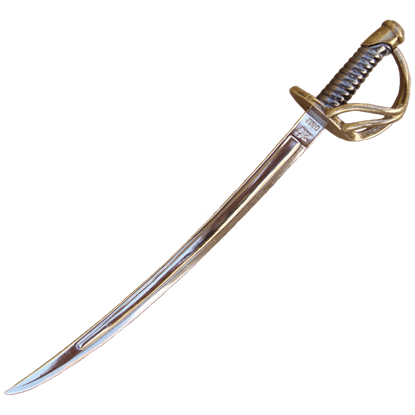 The General Lee mini sword is a miniature of the larger sword produced by Art Gladius. The General Lee blade is made of stainless steel and as in much detail as their larger counterpart. This cannon reproduction is a smaller version of the famous 12 Pounder Cannon. This item measures 15 inches in overall length with a metal barrel that is 7.5 inches long. 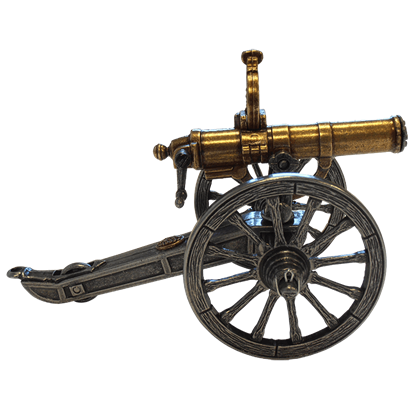 This cannon is just like the ones used in the Civil War. 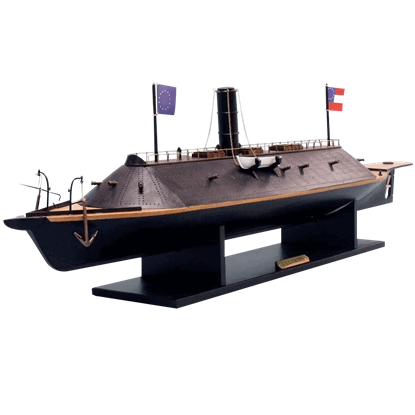 This Limited Edition CSS Virginia Model Ship is a scale-replica of the CSS Virginia. This model is hand-crafted, featuring museum-level quality and detailing that render this item a true work of art to display in your decor.